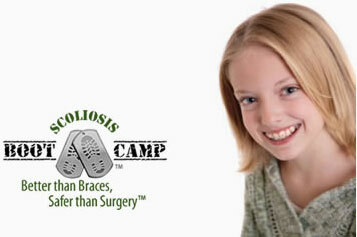 Do you or your child have scoliosis? Is your curvature greater than 25 degrees? If so, your doctor has probably told you that expensive, invasive spinal fusion surgery is your best bet. This is simply not the case. There is another way – a non-invasive, more sustainable way. 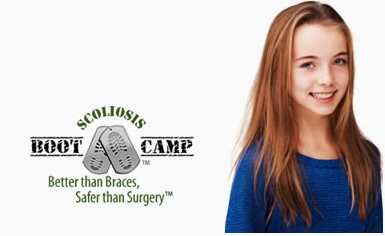 ScoliSMART’s 10-day Boot Camp for Curvatures over 25 degrees is an innovative, comprehensive treatment option that will retrain your body, enabling it to combat your scoliosis from within. How does it do this? By harnessing your body’s natural strength. ScoliSMART exercises have been developed specifically to retrain your muscles through Auto Response Training. The new signals your body is sending the brain enable your muscles to gradually correct your curvature. This is done through a combination of our exercises and an improved diet, which clears the pathways for communication between your body and brain. Our Boot Camp for large curves is a moderate-intensity, 10-day program designed to kick start your recovery from scoliosis. It begins by ‘un-locking’ your spine – decreasing the rigidity of your spine and its surrounding muscles. After this, we begin teaching you ScoliSMART’s innovative exercises so that you can then perform them in the comfort of your own home. 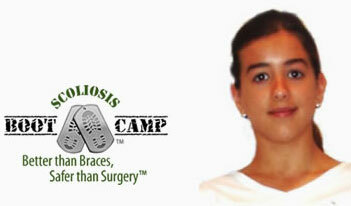 You will also meet with a doctor to develop a diet that is perfect for you and your scoliosis. This diet will be used to maximize the positive impact of your exercises. Like all our programs, our 10-day Boot Camp for large curves is patient-oriented. This means that we try to give YOU control over your own recovery. 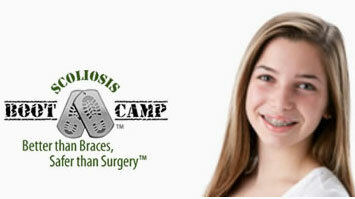 You won’t be at the whims of braces or surgery; you’ll chart your own path to a healthy life. 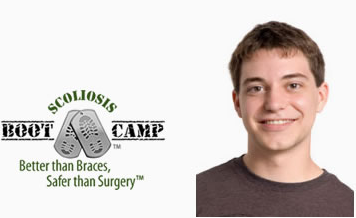 Many patients with larger curvatures have important questions about our Boot Camp. They’ve likely been told that their condition is hopeless without surgery, and that their long term prognosis will only get worse. We want to answer your questions, and show you that there is light at the end of the tunnel. Is the Boot Camp safe? Most patients are, first and foremost, worried about their own safety. Many people with a curvature greater than 25 degrees have been limited in the activities they can perform. ScoliSMART’s program is non-invasive, and therefore is far safer, and much less painful, than wearing a bulky brace or having an expensive surgery. 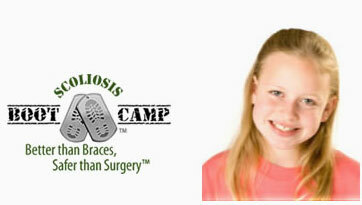 Patients who have gone through the camp report no pain or exhaustion. Our Boot Camp is designed to be effective for children as young as five and for adults who are well into their retirement years. 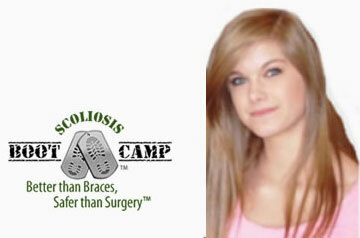 Thousands of patients have discovered why ScoliSMART is the best non-invasive scoliosis treatment in NYC. Because your curvature is greater than 25 degrees, it will take a bit of time to start seeing positive results. Your curve should stop progressing almost immediately, which is the first goal of our treatment. Within a few weeks or months, you should notice less pain, as well as real cosmetic improvements. After 3-4 months, most patients report increased mobility and better functioning in their daily activities. Over time, the ScoliSMART program could even reduce your curvature. Our camp is just the beginning of your treatment – it’s the foundation upon which you will begin to build a new, healthy future. The most important part of your recovery won’t be the time you spend at our clinic, but the time you devote to your treatment at home. It will take 6-8 months to truly stabilize your scoliosis, meaning that you need to be diligent and dedicated about your exercises during this time period. It isn’t easy, but the rewards are immense. After this, you’ll be able to maintain your progress with less effort, but still benefit from the improvements you’ve made. We’ll also continue to monitor your progress with regular checkups. This will enable us to make any changes to your exercise regimen or diet. If you’re feeling hopeless about your scoliosis, and fear that bracing – or even surgery – is in your future, don’t despair. There’s another option. 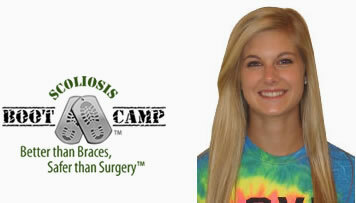 What Happens After Scoliosis Camp? Scoliosis is a progressive condition that is most active and aggressive during the adolescent years in which a child is experiencing periods of rapid growth. 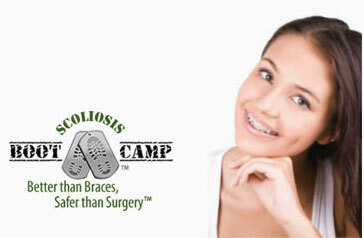 It is imperative that an ongoing scoliosis training program is consistently performed on a daily basis. The single most important factor in the continued long-term success of scoliosis stabilization is a high compliance rate with the home training program. It needs to be recognized from the very beginning that the home care program is a long-term commitment and must be continued to ensure stabilization of the scoliosis during these periods of rapid growth. The greatest factors in ensuring compliance to a long-term home training program are a positive patient attitude towards the program and a low confusion rate. Keep it fun/rewarding and keep it simple. While the patient will need to dedicate a fair amount of time and effort into the initial scoliosis training program during the curve reduction phase of treatment, they can often maintain their scoliosis reduction with less effort once the curvature has been stabilized. Spinal molding program prior to bed 15 minutes if prescribed. Generally this routine is required for at least 6-8 months before scoliosis stability is achieved and a reduction of home care frequency can be considered, always consult your doctor when changing training frequency. 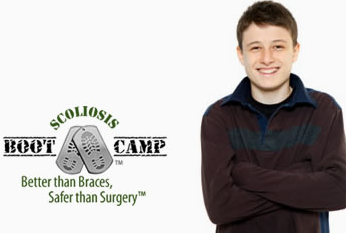 Is scoliosis BootCamp right for you?